I don't think we've ever met anyone more hard working and passionate about the work they do than you. 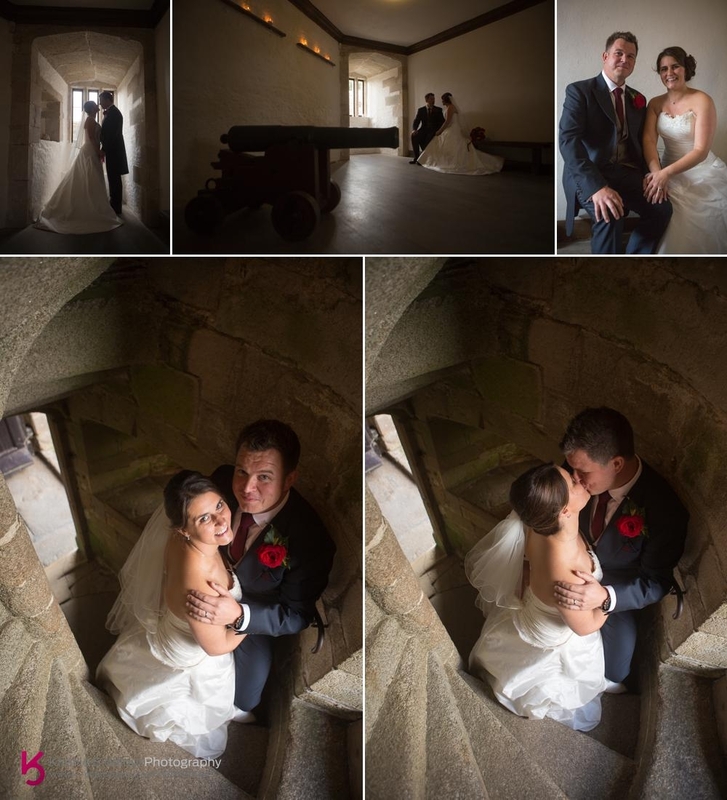 You were both an absolute pleasure to have at our day and made the formalities of photographs a lot more fun than we expected. 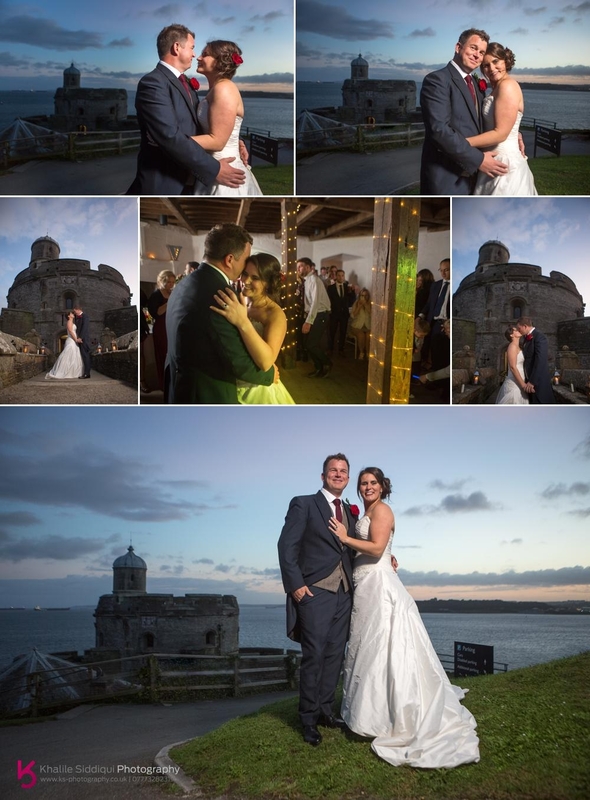 Despite having shot several St Mawes Castle Weddings, Vicky and Will's was my first where both the ceremony and reception were both in the castle. 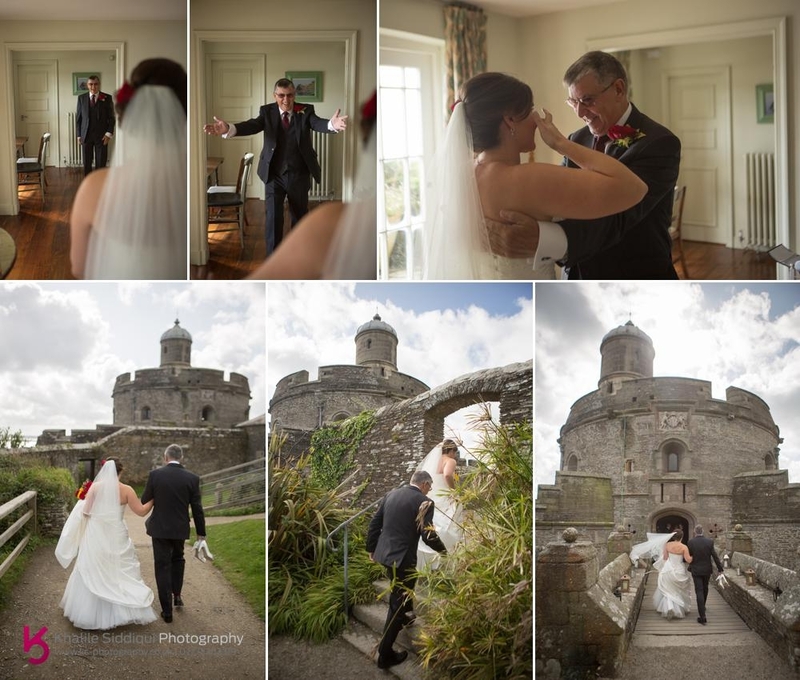 And when Vicky and Will came to us about their wedding photography and wedding makeup after meeting them at the Pendennis wedding open day and told me that Vicky was getting ready at Hotel Tresanton I got even more excited, as after over a decade of shooting weddings, I've always wanted to visit The Tresanton but the opportunity had never arisen. 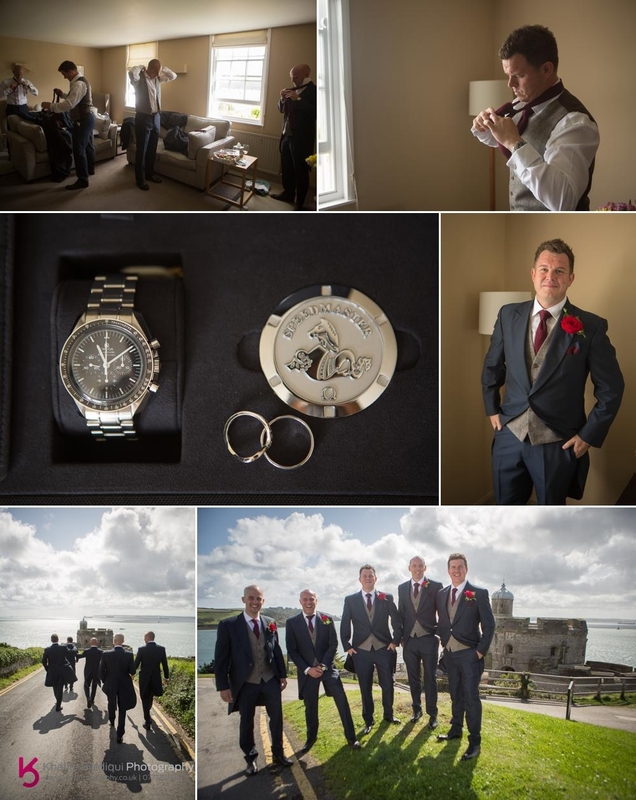 Will and the boys were getting ready at Fort House, which is owned by and just one building up from the castle. So after a tip off I met with the boys and caught Will opening his wedding present from Vicky, his Omega Moonwatch, which rendered Will speechless. It was a beautiful touch from Vicky having the aviation (or Space in this instance) theme, as this was their theme for the day. I guess it was always going to be with Will being a pilot and Vicky meeting him whilst she was working in flight operations. After leaving the boys heading towards the pub I joined the girls getting ready at Hotel Tresanton just a couple of minutes walk from the castle. I've always wanted to visit this prestigious hotel, and I wasn't disappointed. With its handsome views and the winding alleyways leading up to the reception, passing little bars and meeting rooms, it felt like a little hidden gem in the middle of the Mediterranean somewhere. 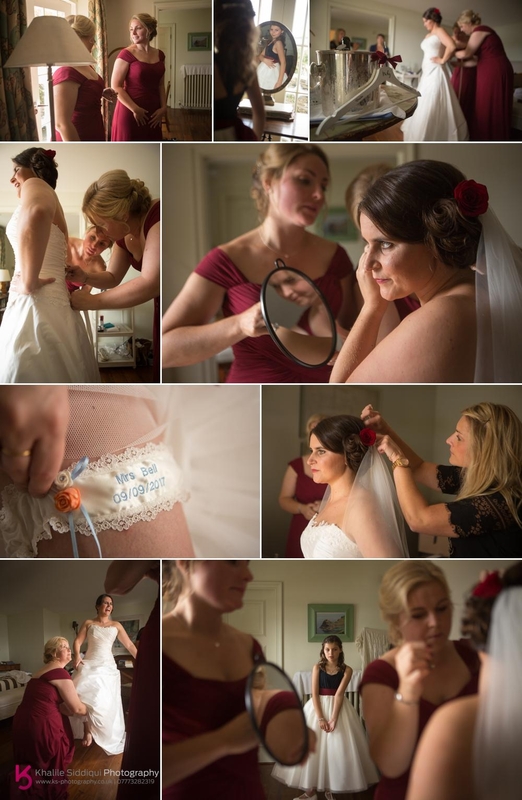 When I arrived the lovely Sarah Hooper of Capella was finishing off Vicky's hair while my wife Tamsyn was waiting to start the makeup. When Vicky had gotten into her dress everything happened quite quickly, the bridesmaids CJ and Holly and the flowergirl CJ's daughter headed off to the castle as Vicky requested a little time alone with her father. I felt really honoured to be able to experience Vicky's dad seeing his little girl in her dress for the first time. It was a little funny, as I had bumped into Richard a couple of times already that day, as I scouted out the castle to see what the light was doing for photos but he never mentioned who he was, he just admired how thorough I was with my photographic duties. After the short walk to the castle I found Will patiently waiting for his bride. After the ceremony we'd pre-arranged for our happy couple to nip off inside the ground floor of the castle while all the guests made their way outside to prepare for a confetti tunnel to greet Vicky & Will. So I made the most of the moment with a little photo shoot. I have to say I can't remember the last time we had a group of guest this playful. The noise they made when Vicky and Will first tied the knot, came down the confetti line-up and during the speeches was deafening. The day was pretty windy what with hurricanes going off on the other side of the Atlantic but with the 300 degree views at the castle it didn't hinder the group photos, but we did brave the wind to get some photos with different backdrop of the castle and cannons, plus all the guests were ushered round to see the cannon's go off to announce dinner. 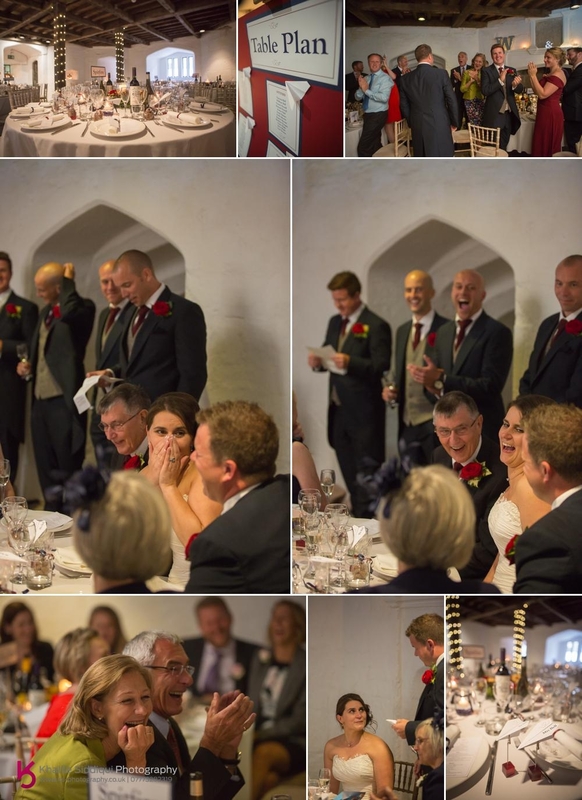 The wedding breakfast took place in the downstairs of the castle and the aviation theme carried on with paper aeroplanes with the guests names on for wedding favours, and each table named after a famous British aircraft. For their deserts everyone made their way outside to the waiting ice cream trike of Icicle Tricycle while I grabbed a few shots of Vicky & Will in what was left of the sunset. 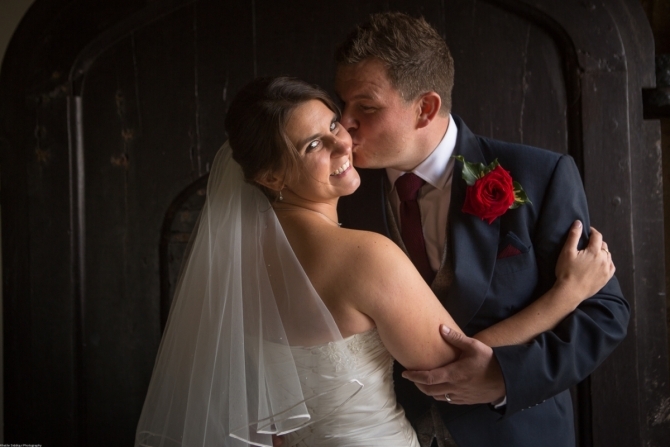 Dearest Vicky & Will, It was a real honour to be involved in your wedding, I absolutely loved the experience and wish you the very best of luck for a long happy and healthy life together. 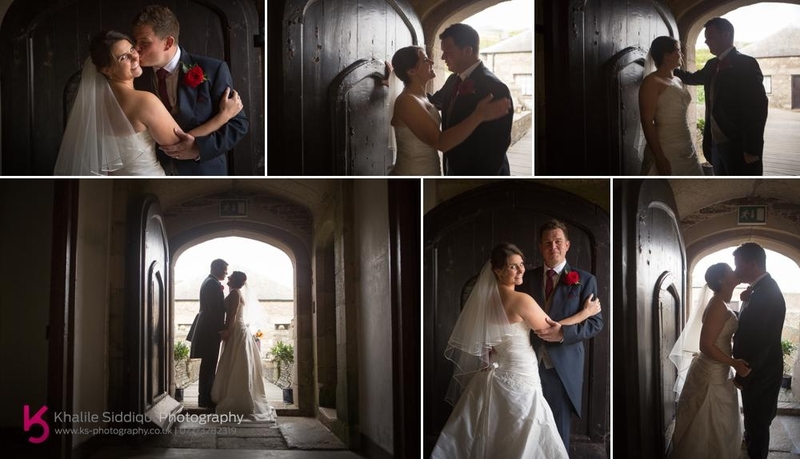 If you're planning your own wedding be it near or far, please do check out our weddings page and make an enquiry. 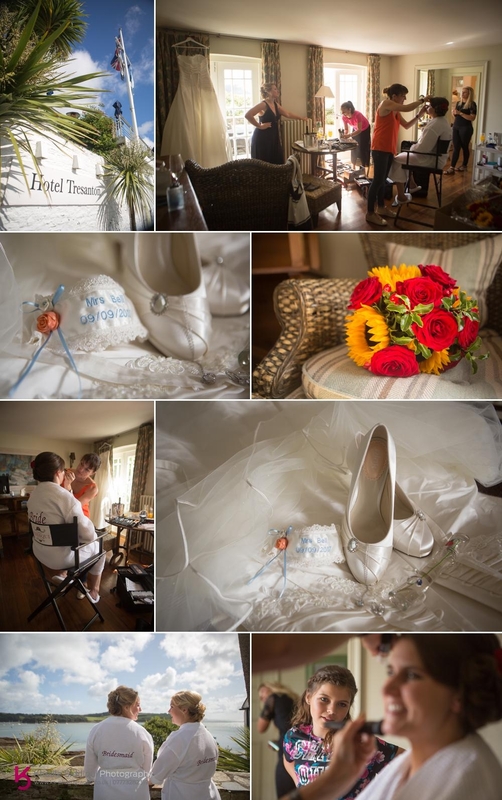 St Mawes Castle wedding of Vicky & Will, with bridal preparations at Hotel Tresanton. 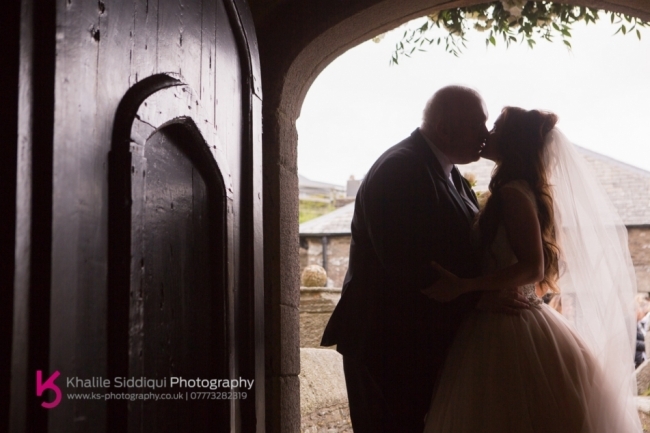 Multi award winning imagery by Khalile Siddiqui Photography. 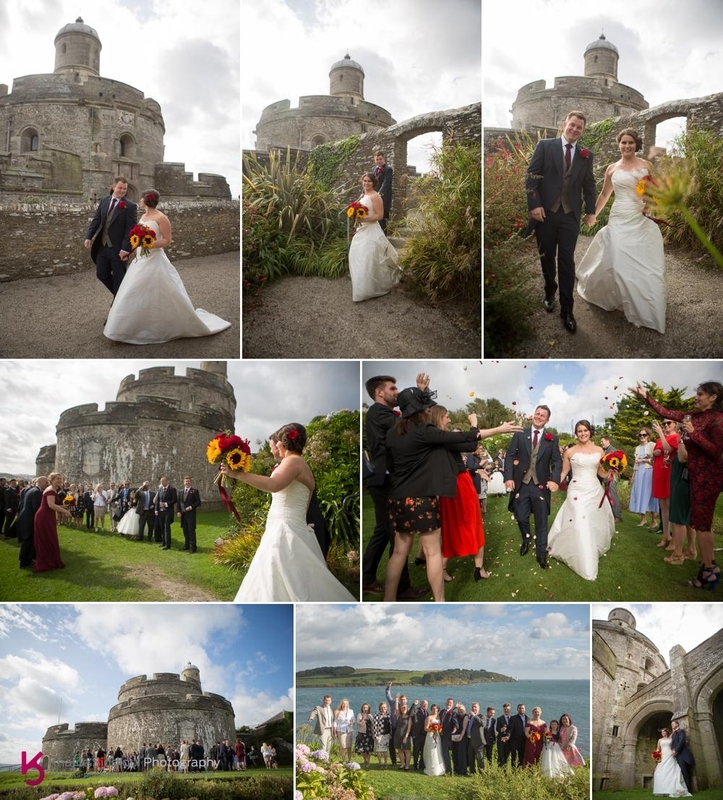 St Mawes Castle Wedding of Rachelle and Graham, with imagery by Khalile Siddiqui Photography, beauty treatments and makeup by Tamsyn Siddiqui Beauty Stylist, marquee from Absolute Canvas, and entertainment but Perfect Party.